$7.2 million program to support Vietnam in enhancing innovation capacity and utilizing scientific and technological benefits in economic development. The Ministry of Science and Technology and the Australian Government have signed an agreement to launch the Australia - Vietnam Innovation Project under the name Aus4Innovation, enhancing the commitment to boosting cooperation in science, technology and creative innovation. Aus4Innovation is a A$10 million ($7.2 million) cooperative development program designed to strengthen Vietnam’s innovative ecosystem, build long-term partnerships between scientists and researchers, and support the Vietnamese Government and people in seizing the opportunities offered by Industry 4.0. 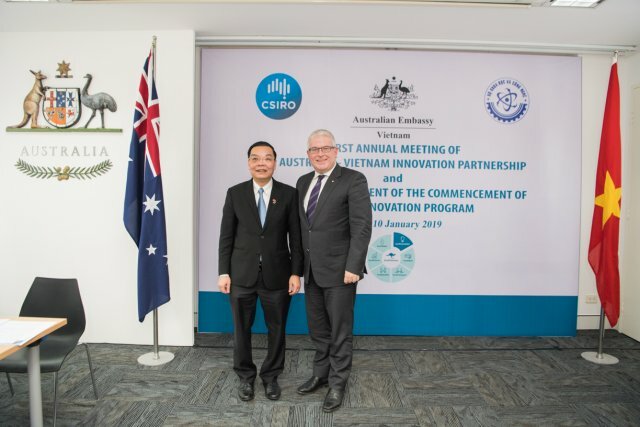 Asia is on the threshold of major changes and the Aus4Innovation program is an interesting opportunity for Australia to support Vietnam in utilizing its experience and skills and establishing new and long-term science and technology connections, according to H.E. Craig Chittick, Australian Ambassador to Vietnam. Aus4Innovation helps discover emerging fields in digital technology, experiment with new partnership models between organizations in the public and private sectors, enhance Vietnam’s capabilities in technological foresight, commercialize technological research, and formulate policies relating to innovation. The program is a prime example of Australia’s approach to further boosting the Vietnam and Australia Strategic Partnership. Aus4Innovation is the keynote program designed to implement the Partnership on Innovation between Australia and Vietnam, which was initially established at APEC 2017 by former Australian Minister of Foreign Affairs and Trade Ms. Julie Bishop and Minister of Science and Technology Chu Ngoc Anh. Aus4Innovation is also the fruit of cooperation between the Ministry of Science and Technology, the Australian Embassy in Hanoi, the Australian Department of Foreign Affairs and Trade in Canberra, and the Commonwealth Scientific and Industrial Research Organization (CSIRO). “Through Aus4Innovation, we want to share Australia’s best knowledge and experience in both the public and private sectors to support Vietnam to utilize the benefits of new technology to build the future of its economy,” said Ambassador Chittick.